What Record Do They Hold? Can Anything Open the Cones? 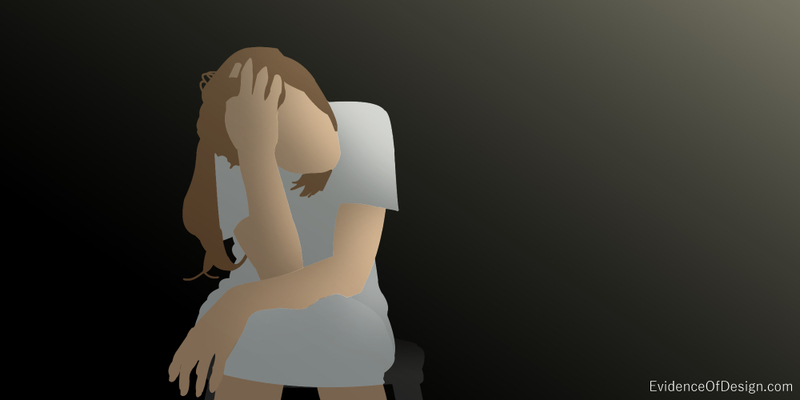 How Can Bad Times Help Us? Nature not only declares the creative genius of God, but it also teaches us lessons He may well have had in mind at their creation. Take, for example, the Knobcone Pine. Scientifically, it is known as Pinus attenuata. This conifer grows at elevations from 1000-4000ft., in dry, rocky soils along the coast of California and into Oregon. The pale, stiff, yellow and green needles come in bundles of three and measure four to five inches long. The tree grows to about thirty feet tall, though some reach a hundred feet. Though the tree does not break any records in height, the cones are a different story. The Knobcone Pine’s three to six inch cones grow both all over the limbs, and also along the trunk. They hold the record as the world’s hardest cones. Unlike most conifers, the cones do not open each year to disperse the seeds growing inside. Indeed, almost nothing can get them to open! Birds or forest animals that thrive on seeds cannot get to the Knobcone seeds inside. Even a hammer blow cannot break the cone. Nor does time weaken the cones. Some will not open for decades! New cones are green, yellow, or brown. Older cones are grayish. Inside are the precious seeds that will reproduce the tree. Yet, year after year, the cones remain closed. Only one thing will get this cone to open. That is fire! In the midst of a forest fire, the cones will open partially, enough to emit a gaseous vapor that protects the seeds from the scorching flames. 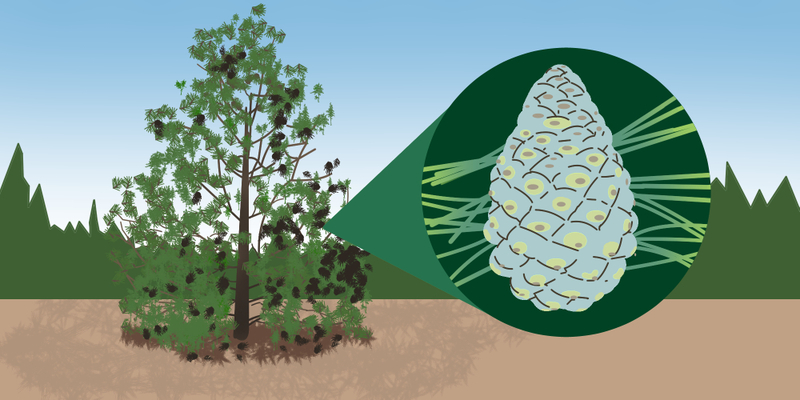 Then, when the fire is gone, and the tree charred, the cone will finally open and dispense its winged seeds to the forest floor to grow new Knobcone Pine trees. The apostle Peter reminds us of something else that can bring new life from fire. It is the faith of a believer. “Wherein ye greatly rejoice, though now for a season, if need be, ye are in heaviness through manifold temptations: That the trial of your faith, being much more precious than of gold that perisheth, though it be tried with fire, might be found unto praise and honour and glory at the appearing of Jesus Christ whom having not seen we love. . .” (1 Peter 1:6-7) God designs firey trials to test our faith, purify our faith, and increase our love for Him. The Knobcone Pine reminds us that God also desires to use trials to spread the seed of His Word to others watching us during the trial. They will be attracted to the life offered in Christ as they see us demonstrate its truth by our godly response. Moody Publishers Journey of Life DVD, 1985, 1998. As a homeschooling mom I’m always trying to find videos or articles that testify to the awesomeness of creation by God’s hands. We had just read about the amazing Knobcone pine tree and decided to look for a picture of it and its’ cones. Came across your article listing and so glad we clicked on it! Thank you for sharing with us and for helping me to cement the truth of God’s word and His creation into little hearts and minds.